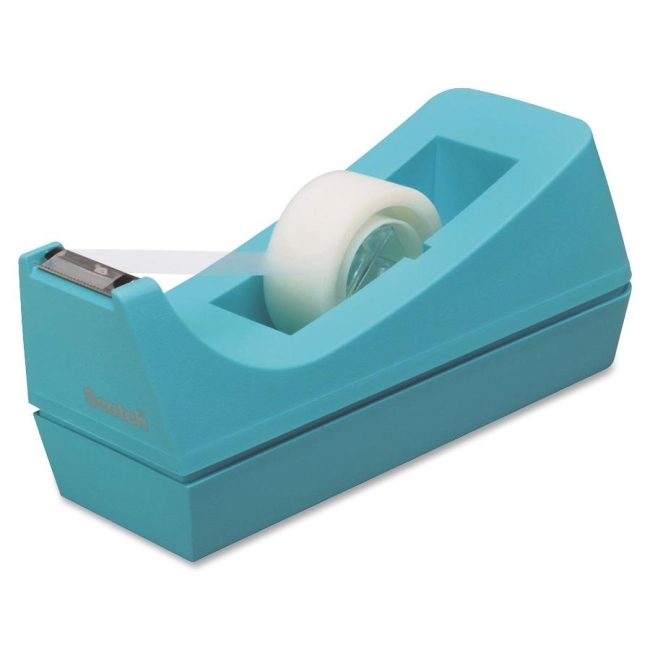 Space-saving tape dispenser provides one-handed dispensing for a variety of office tapes. Design features high-impact plastic, nonskid base and a weighted base. Tape dispenser holds tape that is 1/2" or 3/4" wide and 1500" long on 1" diameter removable cores.